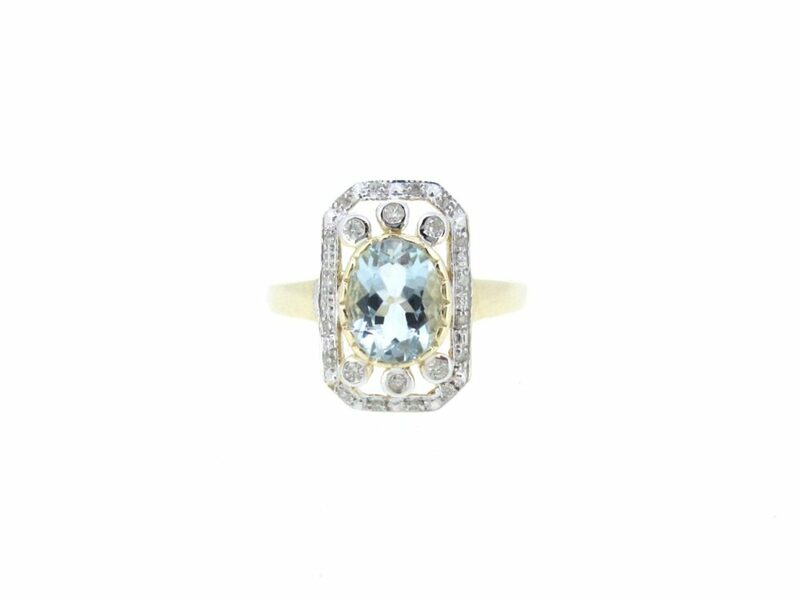 A very stylish vintage style ring. 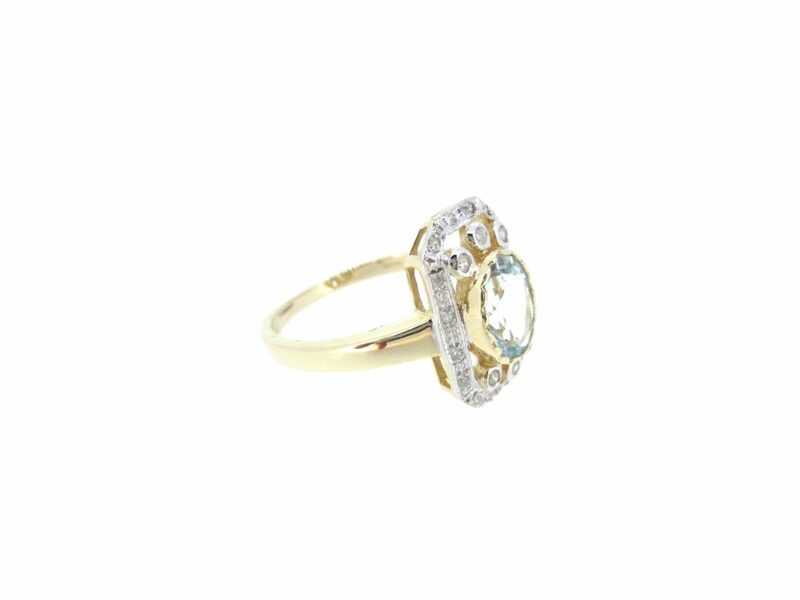 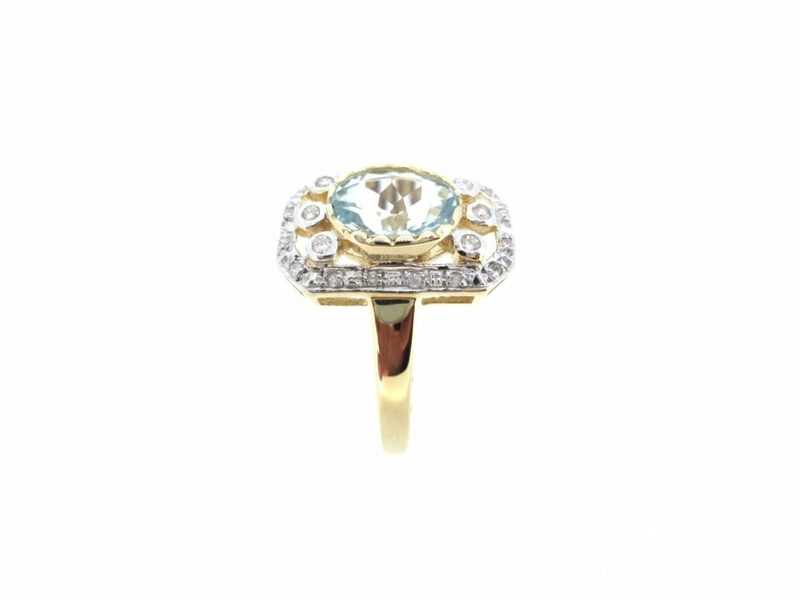 An oval cut centre aquamarine stone with three small diamonds each end & diamonds set in the surround. 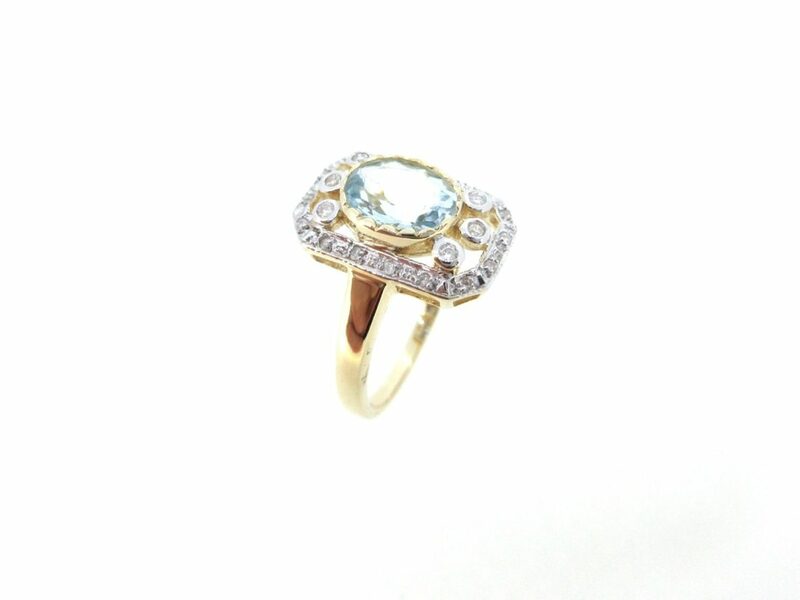 9ct gold.